Have you ever thought why places are given their name ? 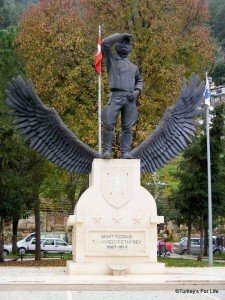 Fethi Bey was born in Ayazpasha / Istanbul. He graduated from the Naval School of War in 1907 as a second lieutenant and was sent to Britain for aviation training. Graduating from the Naval Academy he became an officer in the navy. He was trained as a pilot in the UK and then joined the Air Force as a captain in 1911. 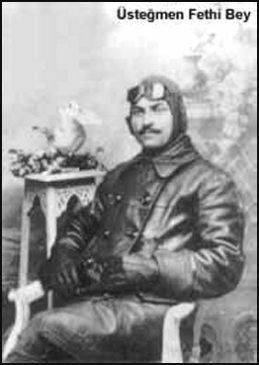 He flew with his navigator Sadik Efendi in a Bleriot XI/B plane called Muavenet-i Milliye from Istanbul to Egypt on Febraury, 8th 1912. His plane unfortunatly crashed on February, 22nd 1912 between Damascus and Tiberias ( Sea of Galilee ) in the valley of Hell. The engine failed and the lane fell from the sky. Their eternal resting place is in Damascus is in the garden of the famous Selahaddin Eyyubi Mosque. Selahaddin Eyyubi is the famous Turkish Sultan who fought againts crusades commended by Richard the Lion hearted. This entry was posted on June 26, 2016 by Martin.